The ‘heat sealer’ simulates, in the lab, the sealing in a production environment. Laminated films and other packaging materials are sealed with this unit in a simple way. Production parameters such as temperature, pressure and time can be set. In this way one looks for the best possible seal strength. 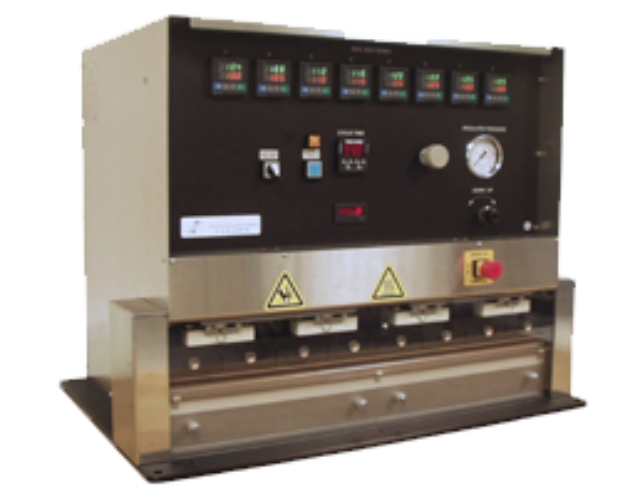 The CeraTek line of heat sealers is ideal for a variety of applications including material testing, plastic film evaluation and quality control. These bar and tray heat sealers can be used for wide range of industries including plastic film manufacturers, converters, printing ink companies, chemical companies, and consumer product manufacturers.